So I’m up to my ears at the moment starting preps for my exams in early May, and the writing muse has abandoned me. I’ve decided that Sundays would actually be a great day to share a few of Roz’s pictures with you. She’s been a busy bunny, and I’ll start today with the picture she took a few minutes ago. 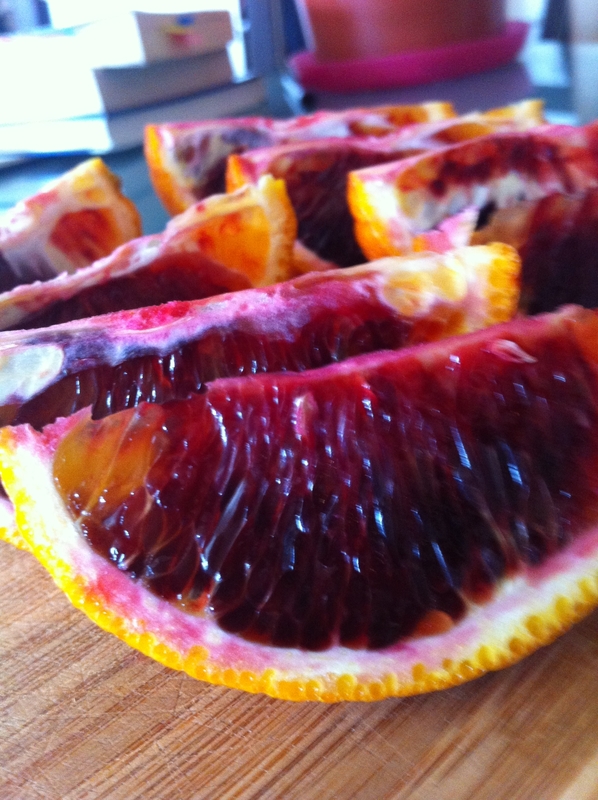 Today I tasted my first blood orange. Bleugh!!! I can confidently say I won’t be buying or tasting any more any time soon. Roz was so disgusted by the look of it that she couldn’t even watch me eat it. I was told not to even cut it on the same chopping board as her “normal” orange. She gave me a good laugh. She then decided she would take a picture of the blood orange to show her dad. So here it is. great picture, nice and vivid. I’ve not had one, but it doesn’t sound worth trying. It looked awful! I could see where the ‘blood’ part came from. Maybe if they called it a red orange or something…but do try it, just to say you have. Thanks for commenting. Isn’t it funny how a child’s innate creative and artistic sense is so defined so early on? A really beautiful photo. Ours take hundreds of photos, and I love the way they frame things, it’s a really interesting perspective! I’d love to see more of her photos; you have a natural “Arty” on your hands Muuka! I do love the way their perception of things is so different. And they get pictures at angles that adults can only envy. Thanks Emily, I really do hope we can nurture her artistic side.